Because the safety of our customers is our top priority, Medtronic, in consultation with the Therapeutic Goods Administration (TGA) and Medsafe, is initiating a recall for specific Lot Numbers of infusion sets used with Medtronic insulin pumps (TGA Recall Identification # RC-2017-RN-01182-1) and Medsafe Reference # 21954). Explanation of the Issue Medtronic has become aware of recent reports of potential over-delivery of insulin shortly after an infusion set change. Over-delivery of insulin can cause hypoglycaemia and in extreme cases, death. 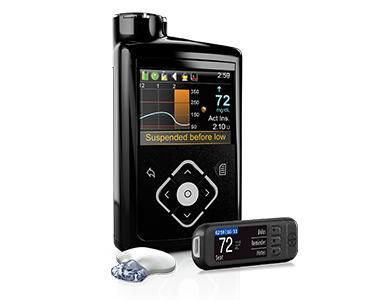 Medtronic has received reports of hypoglycaemia requiring medical intervention potentially related to this issue. Out of the millions of infusion sets sold each year, the reported incident rate requiring medical assistance related to this issue is less than 0.00005%. There have been no reports of death related to this matter. Our investigation has shown this issue can be caused by fluid blocking the infusion set membrane during the priming/fill-tubing process. A membrane blocked by fluid most likely occurs if insulin, alcohol, or water is spilled on the top of the reservoir or inside the tubing connector which then could prevent the infusion set from working properly. Infusion sets currently being shipped by Medtronic contain a new and enhanced membrane material that significantly reduces this risk. A. Go to https://checklots.medtronicdiabetes.com to determine if you have recalled infusion sets. You will be prompted to enter the REF and LOT numbers for all infusion sets in your possession. The website will then tell you which infusion sets are part of this recall and which are not. Please follow the instructions on the website. B. Please do not use recalled infusion sets. If you have new and enhanced infusion sets that are not part of this recall, use only those sets starting with your next set change. As a reminder, we have enclosed Key Steps regarding the priming/fill-tubing process. If you only have recalled infusion sets right now, it is very important that you carefully follow the Key Steps enclosed in this letter. F. For our records it is very important that you cut out the bar codes on the boxes of recalled infusion sets (as per above picture) and return the bar codes in the reply paid envelopes that will be sent out with the new infusion sets. G. Please throw away recalled infusion sets. You can also report an adverse event or product complaint to the Medtronic Global Helpline on 1800 777 808 and press option 1 [ If you are calling from New Zealand - 0800 633 487]. The helpline is available 24/7. Q1. Is this a recall? Please do not use any recalled infusion sets. Medtronic will replace the recalled infusion sets free of charge. Q2. What is better about new infusion sets not affected by the recall that will help prevent this issue? The infusion sets unaffected by the recall and being shipped to customers now, have a new membrane, and our investigation shows that this significantly reduces the likelihood of a blocked membrane during the priming/fill-tubing process. Q3. How common is this problem? Out of the millions of infusions sets sold every year, the reported incidence rate requiring medical assistance related to this issue is less than 1 in every 2 million infusion sets. The infusion sets being shipped today are not impacted by this recall. We are voluntarily issuing this recall to ensure that our customers have the best products and a good experience on insulin pump therapy. Q4. Am waiting for my replacement units to arrive. Can I continue to use the infusion sets from these recalled lots? Please do not use your recalled infusion sets. Please use only infusion sets starting with your next infusion set change. Q5. What do I do if I don’t feel comfortable using the recalled infusion sets until the replacement sets arrive? You may choose to revert to your back-up injection plan according to your healthcare provider’s directions until your replacement infusion sets arrive. Q6. What do I do about ordering supplies? Please note that replacement sets may take longer to receive than your normal shipments. You may not receive all your replacements at once. All infusion sets you receive moving forward will be unaffected by this recall. a. After filling the reservoir, make sure the vial of insulin is held upright when removing the reservoir from the blue transfer guard. This prevents insulin from accidently getting on the top of the reservoir, which could be transferred onto the infusion set membrane. b. If any liquid (such as insulin, isopropyl alcohol, or water) gets on the top of the reservoir or inside the tubing connector, it can block the infusion set membrane. This may lead to increased pressure inside the pump's reservoir chamber during the priming/fill-tubing process. This may potentially lead to over-delivery of insulin shortly after the infusion set change. If liquid is visible on top of the reservoir or inside the tubing connector, start over with a new reservoir and infusion set. If you notice anything unusual after the priming/fill-tubing process, such as insulin continuing to drip or squirt from the infusion set cannula, do not insert. Start over with a new reservoir and infusion set. Do not change your infusion set before going to sleep so that you are able to monitor your glucose levels. As an extra precaution, check your blood glucose at 1 hour after your infusion set change in addition to your routine monitoring. Following these best practices will allow you to identify potential hypoglycaemia and hyperglycaemia so you can take necessary action. Medtronic, in consultation with the Therapeutic Goods Administration (TGA), is initiating a Recall for Product Correction (TGA Reference Number RC-2017-RN-00661-1) for its MiniMed® 640G insulin pumps. Please note, pumps are not being recalled from the market. Medtronic is committed to keeping you and your healthcare professional informed of potential issues and associated solutions related to our products and services. The purpose of this letter is to inform you of a rare and temporary condition potentially affecting your MiniMed® 640G insulin pump. Medtronic has identified thatthe keypad buttons on your MiniMed® 640G insulin pump may become temporarily stuck and unresponsive. You do not need to return or replace your pump. We do ask that you read the important information below to help you understand when this situation might happen, and how to resolve it. Keypad buttons on the MiniMed® 640G insulin pump may become temporarily unresponsive when the atmospheric pressure around the pump increases or decreases rapidly. This would most likely happen when traveling in an airplane during take-off or landing. If this happens, in most cases you may not even notice because the pump will resolve this on its own. If a button is stuck in a pressed position, after three (3) minutes a “Stuck Button” alarm is triggered which suspends insulin delivery (including basal insulin). You may not be able to clear the alarm as the keypad is unresponsive. In the rare situation where this continues for more than ten (10) minutes, the pump will begin to siren. The above could theoretically result in hypo or hyper glycaemia – close monitoring is advised and use of emergency kit insulin or disconnection of device may be required. If you experience this temporary keypad condition, and want to resolve it immediately to bolus or clear the alarm, remove the battery cap from the pump and then place it back on. If you have other questions or concerns, you can find an FAQ and a copy of this letter at https://www.medtronic-diabetes.com.au/customer-support/safety-information You can also always reach the Medtronic 24-Hour Helpline at 1800 777 808. Note: This only applies to the MiniMed® 640G insulin pump. The MiniMed® Paradigm insulin pumps are not affected by this condition. Medtronic, in consultation with the Therapeutic Goods Administration (TGA) is initiating a Recall for Product Correction. Please note, no actual product return is required and the pumps are not being physically recalled from the market. DOES MY PUMP REQUIRE REPLACEMENT IF THIS HAPPENS? No, you do not have to replace your pump unless the action of removing and replacing the battery cap does not resolve the problem. If this does not relieve the pressure and the keypad does not function as normal, please call your local HelpLine to trouble shoot and find out what next steps should be taken. WHAT CAN I DO TO RESOLVE THIS SITUATION IF IT HAPPENS TO MY PUMP? The easiest thing to do if you are not experiencing a “Stuck Button” alarm is to wait for the pump to resolve the issue on its own. However, we acknowledge that you may want to resolve this issue quickly, therefore the solution is to remove the battery cap and put it back on the pump. IS THERE SOMETHING I CAN DO WHILE FLYING TO AVOID THIS SITUATION FROM HAPPENING? This is a very rare and temporary condition. However, if you wish to avoid this completely while in flight, you should temporarily remove the battery cap during take-off and landing and only place it back on after your flight has leveled in altitude. Remember: It is recommended to have extra new batteries and a backup therapy particularly when you travel in the unlikely event that your pump is unavailable. HOW COMMON IS THIS PROBLEM AND WHAT ARE MY CHANCES OF THIS HAPPENING WHEN TRAVELING IN AN AIRPLANE? This is a rare situation and we do not expect this to happen in most cases. However, because of the potential therapy interruption and simple solution, we have chosen to make our patients aware of this condition. Remember: It is recommended to have extra new batteries and a backup therapy particularly when you travel in the unlikely event that your pump is unavailable. ARE THERE ANY PRECAUTIONS I CAN TAKE NOW TO HELP PREVENT THIS? The best action for ensuring therapy is not or is minimally interrupted for this situation is to: a) Always carry a fresh new AA battery for the pump b) Always carry an HCP-prescribed back up therapy in the unlikely event the pump is not available. WILL MY PUMP STOP DELIVERING INSULIN IF THIS ISSUE OCCURS? Your pump will only stop delivering insulin if a button is stuck in a pressed position forthree (3) minutes and a “Stuck Button” alarm is triggered which suspends insulin. In the case where the keypad buttons are difficult to press down, your insulin delivery will not be interrupted. DOES THIS AFFECT THE PRESSURE IN THE RESERVOIR COMPARTMENT, AS WELL? No, the p-cap feature on the reservoir allows the insulin reservoir compartment to equalise presser faster than the rest of the body of the pump. Therefore, the delivery of insulin will continue as usual unless the pump keypad is stuck and alarming. WHAT DO I DO IF THIS DOES NOT FIX THE PROBLEM? If removing and replacing the battery cap does not resolve keypad responsiveness, please call your local HelpLine on 1800-777-808. Medtronic, in consultation with the Therapeutic Goods Adminstration (TGA) is initiating a Recall for Product Correction (TGA Reference number RC-2017-RN-00167-1) for its MiniMed 640G insulin pumps. Please note that physical product is not being recalled from the market. Medtronic is committed to keeping you and your healthcare professional informed of potential issues and associated solutions related to our products and services. The purpose of this letter is to inform you of an issue potentially affecting your MiniMed 640G insulin pump. If you experience this alarm and see the “Power error detected” message on your pump accompanied by the number “25”, please contact the Medtronic HelpLine team at 1800 777 808, option 1 for assistance with troubleshooting the error. Do not ignore this alarm and error message, which means that your pump has now stopped delivering insulin. If you do not take action, you could develop dangerously high blood sugar levels (hyperglycaemia). The 24 Hour Helpline will troubleshoot to determine the cause of the Power Error 25 alarm and guide the user to perform a pump reset process which will reset the condition that causes the software anomaly to occur. If necessary the 24 Hour Helpline will offer to replace your insulin pump. If you see a Power error 25 alarm, please contact the Medtronic Helpline at 1800 777 808, option 1. The Helpline will assist you in troubleshooting the alarm and determining the next steps, including the potential replacement of your pump. Please complete and return the attached acknowledgement form. Should you have any questions or concerns regarding this issue please do not hesitate to contact Medtronic HelpLine at 1800 777 808, option 1 or your healthcare professional. Note: This issue only affects Version 2.6 of the MiniMed 640G Pump. To check the version of your pump, please refer to the instructions below. Your safety and complete satisfaction are our first priority and we appreciate your time and attention to this important notification. 22nd July 2015 MiniMed® 640G – What ‘Recall for Product Correction’ actually means? If you’re using the MiniMed® 640G System^, you may receive an alert when performing a bolus, related to either having dangerously low Blood Glucose, dangerously high BG or are trying to deliver a large bolus (as shown in the pictures). It is important that you clear these alerts immediately so that you can correctly deliver the bolus. It is also important to never use data older than 12 minutes to determine a bolus amount. A new user guide will be sent to all users over the coming weeks. Please contact us on 1800 777 808 if you have any questions. For more info, download the letter sent to MiniMed 640G users.